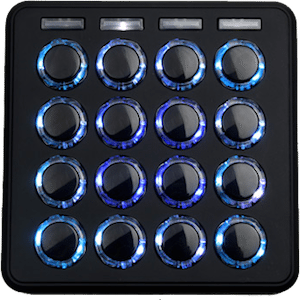 As laptop DJs, we love blazing fast new computers, DJ software updates and new, innovative MIDI controllers. 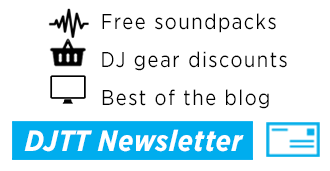 However, some of the most pivotal gear for a laptop DJ is also most often overlooked. 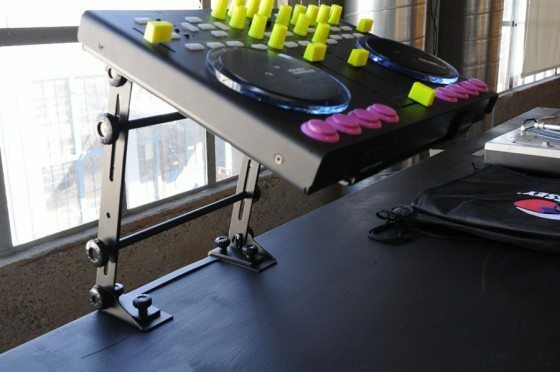 Laptop stands can be critical components to a DJ’s setup, as you may also be using them to hold your MIDI controllers or CDJs, as well. We have compared three laptop stands that are designed specifically for DJs — The Crane Stand, the Odyssey L Stand M and the Stanton Uberstand — to see which one has the edge for portability, ease of set-up, sturdiness and flexibility. Read the full review after the jump. Weight — How much weight will this add to your bag? Adjustability — can the stand accommodate a range of positions and configurations? Set-up — Is the stand easy to set up and configure? Stability — perhaps the number-one factor for controllerists, is the stand sturdy enough for button mashing? Using a patent-pending cam-lever and tensioning knob system, the Crane Stand is infinitely adjustable as far as what angle you what the gear to sit at. You can somewhat adjust the height in a round-about way by creating a “Z” shape and flattening or lifting the stand. To adjust, you unlock the one of the cam levers, loosen one of the tensioning knobs, adjust the base or the tray, re-tightened the knob and then lock off the cam lever. Using this system, the Crane Stand can support plenty of weight and is also the steadiest of the stands here for supporting a controller such as the VCI-100. The only potential drawback of this adjustment system is that you can do permanent damage if you try to adjust it not following the proper procedure. Read the manual first to learn the steps. 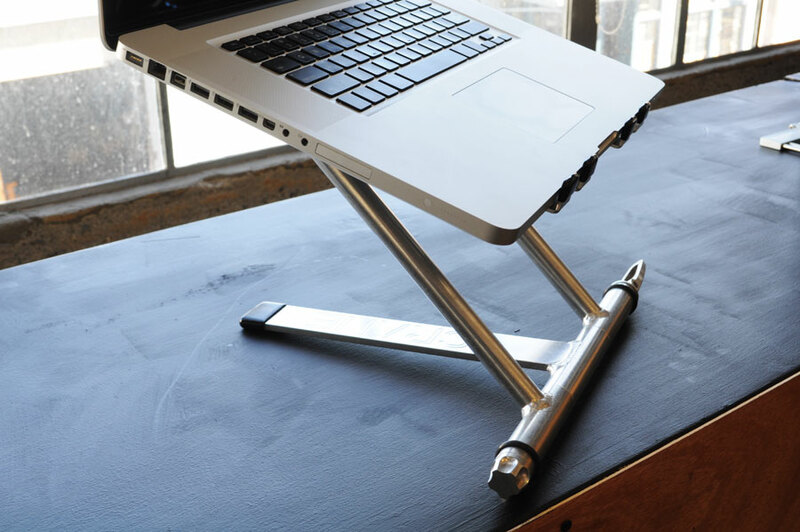 Welded together with aircraft-grade aluminum, the Crane Stand feels tremendously strong, yet weighs only 3 lbs. Folded flat, it’s only about an inch high, so you can slide it underneath a Technics 1200 turntable. Crane Hardware is a small company that makes its products in Seattle, Washington using sustainability-conscious practices. Those factors, as well as the high-quality materials used, contribute to the Crane Stand being the most expensive of the three stands here. However, we feel it is worth the investment to serious DJs. Pros: The sturdiest and most robust laptop stand we’ve seen. Infinitely angle-adjustable. Cons: Limited height adjustability. * Must be careful operating the tensioning knobs and cam levers. *Update_ The Crane Stand is now available in Black from our Webstore! Odyssey builds an entire series of “L Stands,” as well as an enormous roster of cases, stand, gig bags and other accessories for all types of music and pro audio gear. Most of it’s L Stands are fixed in their size and angle, but the L Stand M (M for “mobile”) collapses for portability and includes some angle adjustment. Through the use of tightening knobs, you get 2.5 inches of height adjustment with the L Stand M; the minimum set-up height is 12 inches, while the maximum is 14.5 inches. Two sets of tightening knobs also let you fold and unfold the L Stand M into its working position. 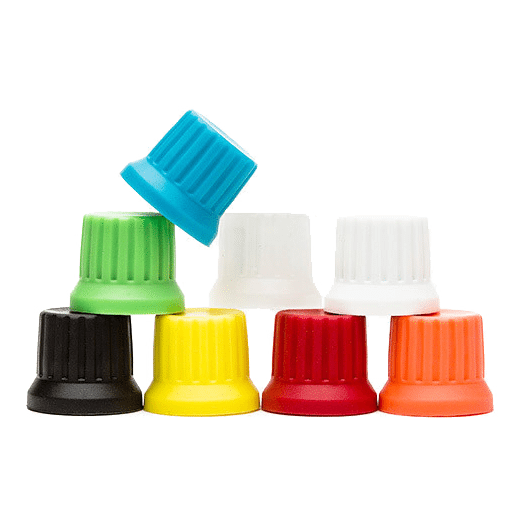 This knob system is somewhat laborious, making the set-up and take-down times the longest of the group. 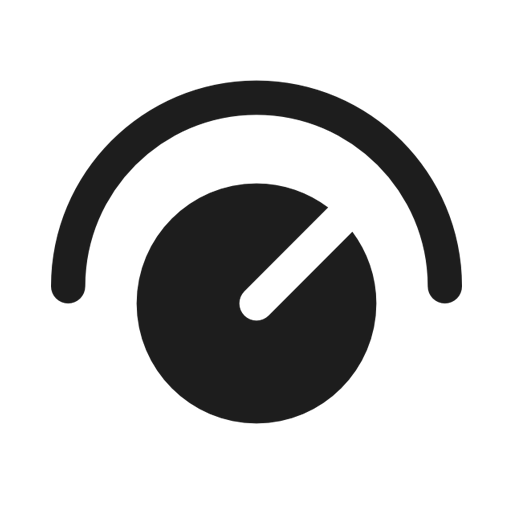 Also, I could not get the knobs tight enough to support a 6.6-pound, 17-inch MacBook Pro. No matter how tight I made the knobs, the top of the stand would bend under the weight of the 17-inch MacBook Pro, although it did work with lighter laptops and controllers. If you want to mount the L Stand M to a table, you can remove the bottom base of the stand and use the two included C-clamps to mount the stand. That’s a nice option that makes set-up time longer, but gives you a lot of stability. Because of its weight and set-up time, the L Stand M is not the best choice here for a mobile stand, but a good option for installs, especially using the C-clamps. Odyssey also makes a non-collapsable L Stand for the same price, which includes C-clamps and would be a good option for installs as well. Pros: Height- and angle-adjustable. Includes C-clamps for fixing to a table or case. Lowest street price. Cons: Heavy. Not as sturdy as the others. Takes the longest to set up. The Uberstand from Stanton is all about simplicity. It is the lightest stand here by a few ounces, and it’s the quickest to set up, because you just unfold it and go. There are no options for height or angle adjustability. Stanton includes some zip ties and recommends that you zip-tie the base to the column of the Uberstand to make sure it doesn’t tip over during use. There are also two Velcro stickers so that you can Velcro your laptop to the top of the stand. Those are both sensible precautions, but I felt comfortable using the Uberstand without either of them. Made from aircraft-grade aluminum and stainless steel, the Uberstand definitely feels solidly constructed, but when compared to the Crane Stand, it feels a bit too wobbly for button-mashing on a controller. For laptop use it is fine. 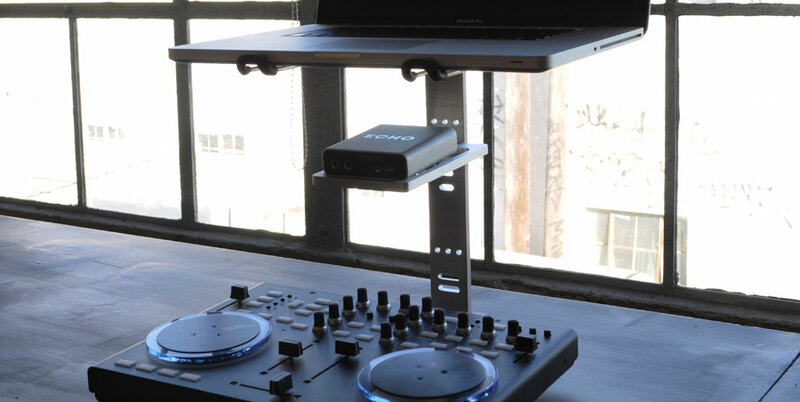 The Uberstand includes a position-adjustable shelf that is well-suited for holding a portable external hard drive or an audio interface such as the Echo AudioFire 2 or Native Instruments Audio 2 DJ or Audio 4 DJ. Pros: Light, but still robust. Fast set-up. Good value. Cons: Not height- or angle-adjustable. A bit too wobbly to recommend for controllers. Here’s how the stands fared in our aforementioned criteria. Weight: At 2 lbs., 12 oz., the Uberstand is 4 oz. lighter than the Crane Stand. Adjustability: While the L Stand M has the most straight-forward height adjustability, the Crane Stand is by far the most adjustable, with infinite potential angles and some limited height adjustability. Set-up: The Uberstand takes the least time to set up and take down, while the L Stand M takes the longest. Stability: Without a doubt, the Crane Stand is the sturdiest and most stable. 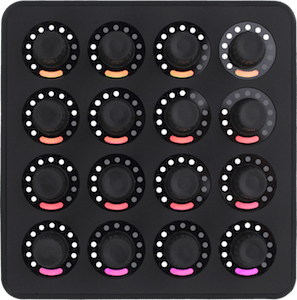 Additionally, they are now selling a sub tray that will hold your sound cards. In the end, we know that each of these stands could fit the needs of different people, but our top recommendation goes to the Crane Stand. Its combination of strength, durability, adjustability and portability make it worth the extra cash it costs. 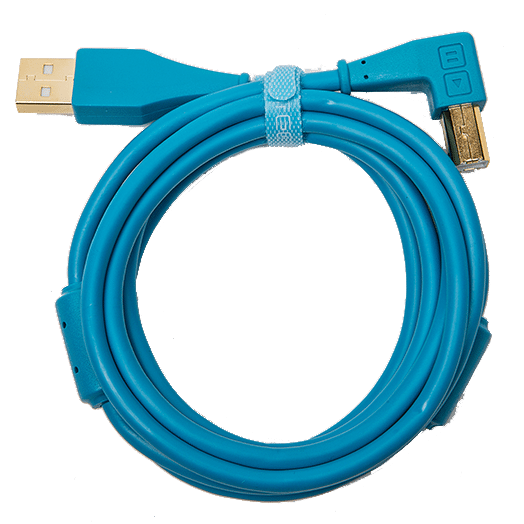 This new product has only been available in the US for the past 3 months, but we liked the stand so much, that we are now selling it in the webstore, so our international readers can also have access to a great product. In addition to a height-adjustable Crane Stand, Crane Hardware is working on an anodized unit, which will have a slicker look and even greater durability. 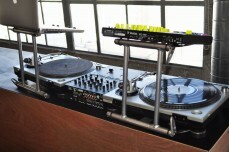 Apple iPad 2: Ready for DJ Prime Time?